A lawyer on Monday argued that Roundup creator Monsanto hid the cancer-causing effects of their weedkiller and bullied scientists into making claims it was safe. In a landmark lawsuit against the global chemical corporation, the lawyer didn’t hold back in his accusations against Monsanto. “Monsanto has specifically gone out of its way to bully … and to fight independent researchers,” said the attorney Brent Wisner, who presented internal Monsanto emails that he said showed how the agrochemical company rejected critical research and expert warnings over the years while pursuing and helping to write favorable analyses of their products. “They fought science,” added Wisner, who is representing Dwayne Johnson. 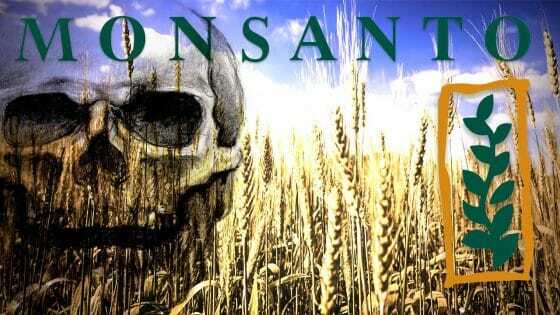 Johnson alleges Monsanto is to blame for the cancer that has been aggressively spreading throughout his entire body. According to The Guardian, Johnson (also known as Lee) is a father of three and a former school groundskeeper, who doctors say may have just mere months to live. He is the first person to take Monsanto to trial over allegations that the chemical sold under the Roundup brand is linked to cancer although thousands have made similar legal claims across the United States. This lawsuit focuses on the chemical glyphosate, the world’s most widely used herbicide, which Monsanto began marketing as Roundup in 1974. The company began by presenting it as a “technological breakthrough” that could kill almost every weed without harming humans or the environment. Monsanto lawyer George Lombardi alleged that the body of research over the past decades was on the company’s side. “The scientific evidence is overwhelming that glyphosate-based products do not cause cancer and did not cause Mr. Johnson’s cancer,” Lombardi claimed in his opening statements. The lawyer for Monsanto disputes the claims saying Wisner is “cherrypicking” studies in favor of his client. Regardless of the outcome, however, Wisner said, “so much of what Monsanto has worked to keep secret is coming out.” Hopefully, the public will soon know just how dangerous glyphosate can be so people can be effectively warned before using it.